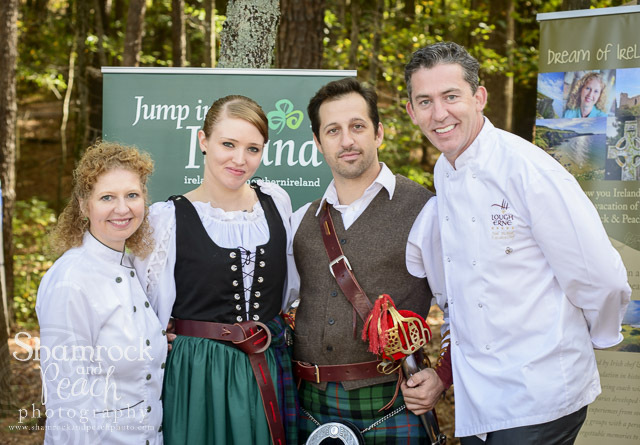 The Shamrock and Peach hit Reynolds Plantation’s Sandy Creek Barn last night to celebrate Irish food in Georgia, yee ha!…and I think it was a big hit with the guests there, many of whom had either been to Ireland, or would love to go to Ireland…The menu it self was inspired by the same dinner menu from the 3ShadesofGreen dinner at the James Beard House in May with the main lamb dish being a signature dish from Chef Noel McMeel at the Lough Erne resort with the genius paring of Kerrygold Cashel Blue Cheese with Quenelle of Dark Chocolate , which stole the show again – after all, this pairing of blue cheese and chocolate is always a talking point. My Southern influenced dishes, paired with the Irish, included Georgia Apple and Zucchini soup with Curried local Pecans and Crispy Pancetta and last but not least, the Sticky Toffee Pudding never fails to impress. Ooooh yes, lots of goodies indeed! Sure glad 2014 still is not over because what started as a very bumpy ride for the Shamrock and Peach has indeed broken in to cooking up some great memories. 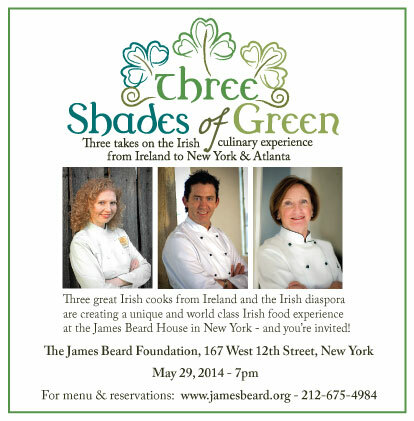 Without a doubt cooking at the James Beard House in May was unforgettable and last night brought it all home to Georgia and makes me so proud of the cuisine from my Irish homeland. Living the dream for sure and so very thankful for it all! October 31st means the end of autumn and the beginning of the winter months. In Georgia we brought the autumn out with a bang (or billowing bag pipes) at this years Highland Games in Atlanta, Georgia as guests of Tourism Ireland. Noel McMeel and I were welcoming our Southern Scots Irish kinsmen and ladies to come to Ireland and taste the goodness of Irish food. On the menu we shared Wild Atlantic Salmon with Sea Weed and Capers, Irish Whiskey Cured Ham with Noel’s Guinness Red Onion Marmalade and Irish Goats Cheese with Toasted Oats and Local Georgia Pecans. We got in to the spirit of the games, signed cookbooks, promoted tourism and there was no shortage of food, laughter and and fun. Having said that we are still working on our Highland Fling! Not many folks in the US may not be aware that the roots of celebrating “All Hallowtide” came from the ancient Celts in Ireland. The name has changed over the centuries to what we know as Halloween. Many both culinary and cultural traditions were brought over from Ireland to the new world by early immigrants. The carving and lighting of the pumpkin came from the Irish legend of Jack O Lantern. This Irish bad boy is said to have asked the devil for light as he roams the earth and was given nothing but a piece of burning coal. Jack placed the burning ember in a carved turnip and the rest is history! Celebrating the old world ties as we end one season and begin anew! Wishing everyone fun tonight and keep an eye out for Jack! Next week we will be dining with some of Ireland top chefs including Chef Michael Dean from Deans, Chef Danny Miller from Balloo House, Chef Ryan from the Beechill, Chef Ian Orr from Browns, and our finale with Chef Noel McMeel from the Lough Erne and in my next blog I will let you know how many of these chefs showcased Panna cota for us in our menu. 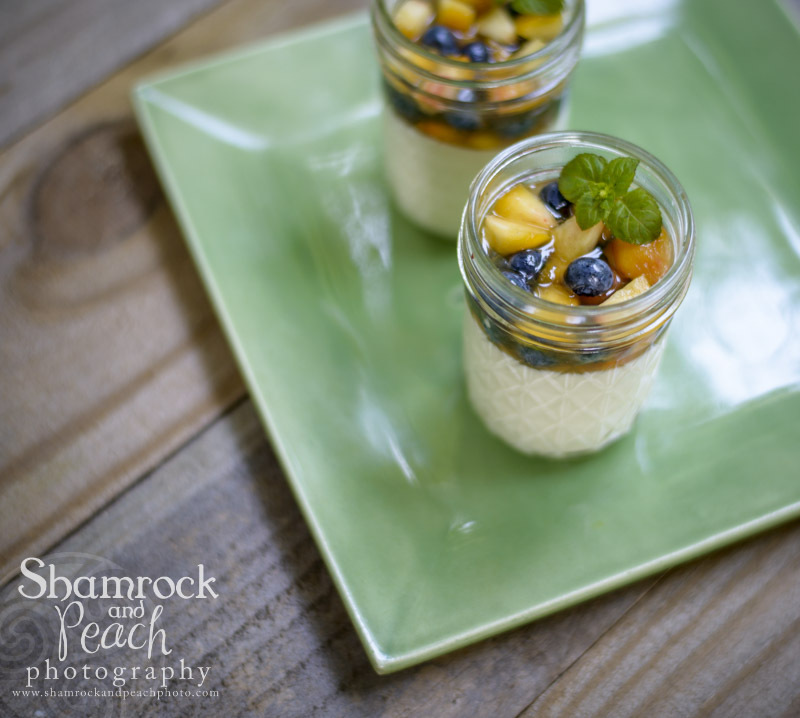 But for now, here is my Georgia Peach Panna cotta version. Sweet Georgia peaches, ripe, juicy and scrumptious with locally grown blueberries. Now, it don’t get much better than that! So, get creative and let this summer fruits delight the senses with Panna cotta. Simplicity at it’s very best! 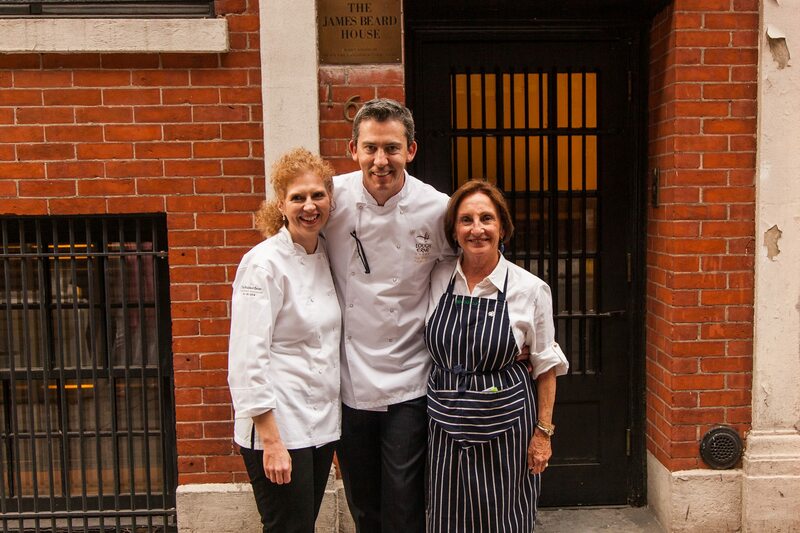 Some experiences you cherish forever and last Thursday evening cooking at the James Beard House in NYC will surly go down as a personal dream and life achievement event. 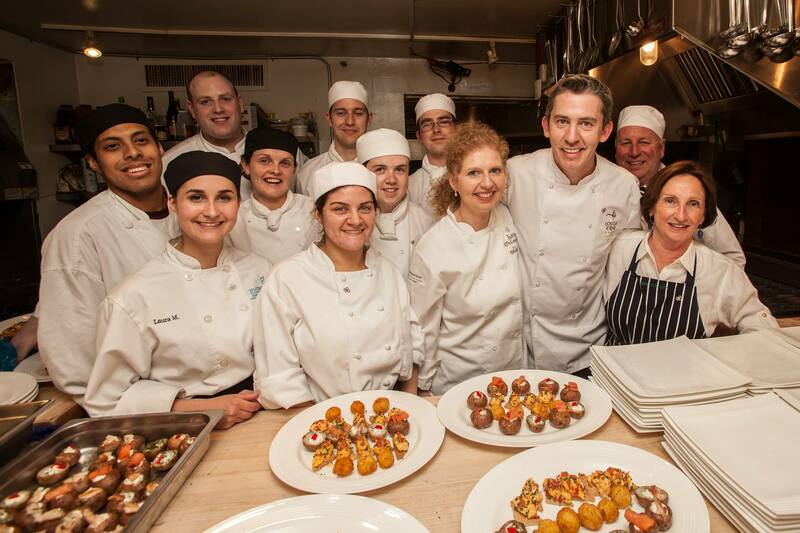 Adamantly, we were truly spoiled by having the most amazing help from top culinary students from South West College in Northern Ireland and Farleigh Dickson University in NYC. We were so generously allowed to prep the day before our dinner at Sysco Kitchens just across the Hudson River and yet again worked with the best of the best. We even had the presence of Steven Holland who just one Ireland’s Young restaurant Chef of the year from the Lough Erne and Nathan who no doubt is a young rising star. Thankfully we were all able to communicate between our Irish accents and our new friends from New Jersey.. Well, lets say most of the time! Finally, I wanted to share a photo of my dessert Rhurbarb and Strawberry Cranachan with Valrhona White Chocolate cream and the peach shortbread’s I shared with you last week. The dessert was light and scrumptious and ended up to be the perfect ending to a perfect night! 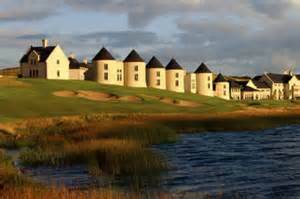 For those friends who will be touring with me this summer you will be able to look forward to meeting many of these faces when we visit the Lough Erne Resort this July and August! I first met Noel McMeel several years ago in New York as one of the Irish chefs invited to represent the very best of the new culinary brilliance that is abundant throughout Northern Ireland today and he so kindly submitted a recipe to the Shamrock and Peach cook book. 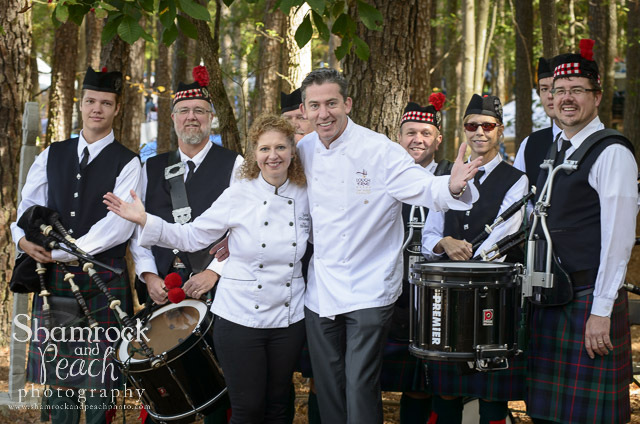 To my absolute honor and surprise I was given the opportunity to cook with Noel 2 years ago as a guest of Tourism Ireland at the Atlanta Highland Games. Noel was there helping me promote the pre sale of my cook book one month prior to its official launch, and his support and affirmation truly meant the world to me. Apart from my own family there are few people who I regard more highly than Noel McMeel and now it’s my turn to tell you all about his new and highly acclaimed book the Irish pantry! The theme of Noel’s book is about feeding the ones you love and as you flick through each page and read the story description featuring every recipe you can feel the warmth and love. Please do not feel intimidated about cooking the recipes from a chef who has cooked for the President of the United States and catered Paul McCartney’s wedding. The recipes are all easy to make and best of all they work for the whole family to enjoy. The photography and images of Ireland are stunning and makes me so proud to be Irish and do what I do. It’s time for Irish food to take its rightful place on the world’s culinary food stage and few books tell our countries story better than the Irish pantry. If you love good wholesome food and Irish culture you will be inspired by the recipes created by Noel and his new cook book. 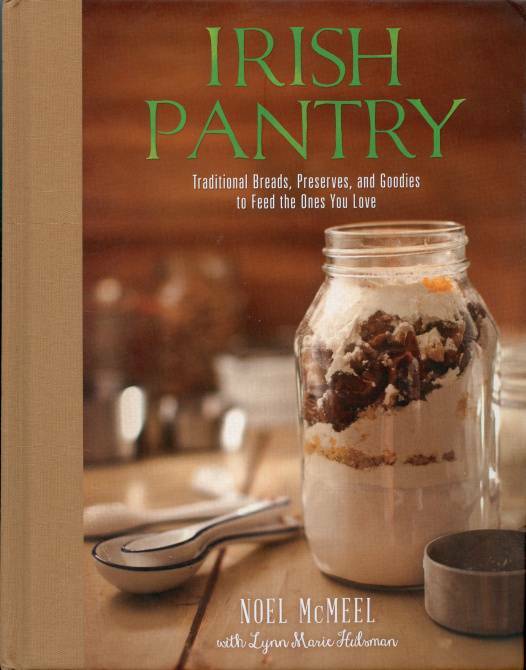 The Irish pantry is a classic and the quality of book that will be passed down generation to generation. The book is available on-line now on Amazon.com and Barnes and Noble just hot off the press so please order today and as always enjoy the journey! 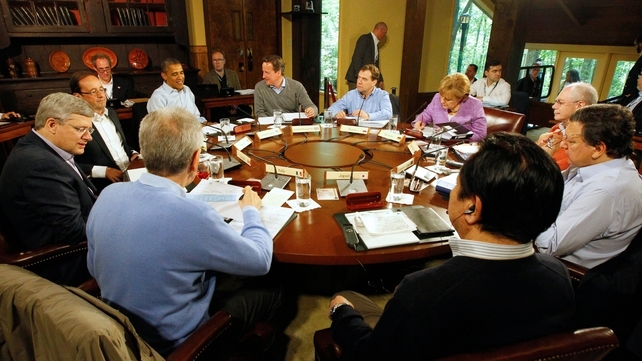 The world’s most powerful people, sitting around a table in the most unlikely of places – yes, lowly little Northern Ireland. A generation ago, no-one in the world would have believed that we would be where we are today, but yet here we are! This photograph was taken today at the Lough Erne resort in County Fermanagh, a wonderful spa resort that I led two tours of 60 folks to just days ago. We basked in the Irish sunshine whilst admiring the views, in the knowledge that we would be followed by the presidents and leaders who control most of the worlds wealth – wow! I have to say that this is a very proud moment for me, and for all Northern Irish people. We have traveled a very long and difficult road, and in many ways this is a confirmation of all the risks taken. Some commentators in the media today were claiming that we were a ‘blueprint’ for the world- double wow!…. So here we are, and yet the journey continues. Would you like to join us? 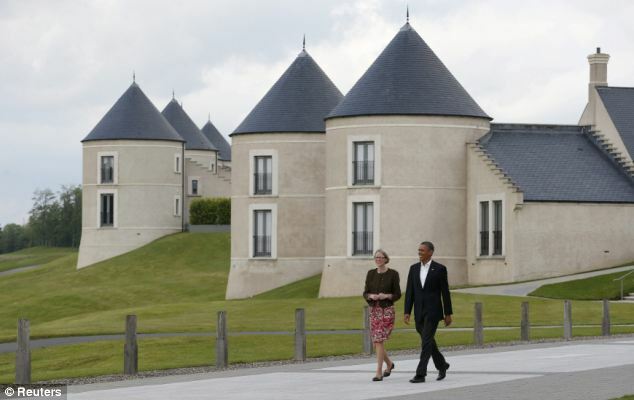 If so, I still have a few spots open for my August ‘Shamrock & Peach’ tour, and this magnificent resort is on our itinerary – you could sleep were presidents slept – oh boy! And now a little about the food, as this was part of the reason for this unique resort being chosen. My friend Chef Noel McMeel is the executive chef there and has the responsibility of serving diner tonight to these extra special guests -what an honour! And Noel is no novice, he is no less than the winner of the Best Chef in Fermanagh 2013 aware, and the Catalina restaurant Winner of the Best hotel restaurant in Fermanagh 2013 by the Restaurant Association of Ireland. I could not be more proud and happy for Noel who continues to soar from strength to strength in all his culinary accomplishments. 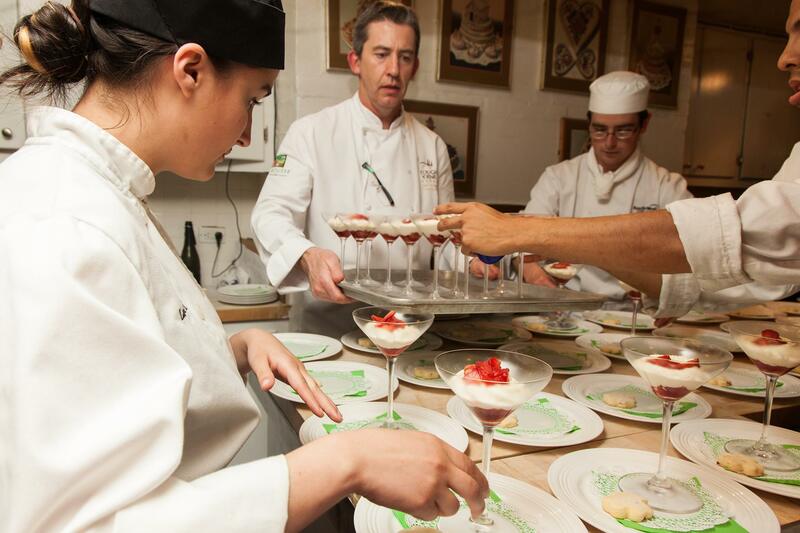 The buzz in the kitchen must have been electric tonight as the food was carefully prepared and the plates were skillfully presented to the top world leaders. Of course I am patiently waiting for the actual menu to be unveiled, but my mind wonders to the meal Noel recently prepared for my Shamrock and Peach tour guests and I wonder of some of the items we enjoyed were served tonight!? Culinary delights such as the Roast Crown of Dromoland Estate Quail, or the Salad of Dingle Bay Crab, a Pear and Raspberry Sorbet, Roast Rump of Glenhoy Lamb or baked Blackrock Stone Bass with pickled mushrooms, orange butternut puree, spinach, puff rice, coriander shoots and citrus reduction. If you mouth is not watering yet how about the Lemon tart with lemon and basil sorbet, raspberry coulis and dairy cram or the Spiced Armagh apple Financier with yellowman and dulse ice cream, clove and mountain honey custard. A tribute to what is good, wholesome and beautiful about Northern Irish food. Yeah, for Northern Ireland and Yeah to Noel for raising the bar!